Maya's Hindu's translation is roughly, "Divinity Within" I believe this song is about a man who feels empty and looking for some type of meaning to be breathed into him. He is hungry and willing to take a chance. Maya is that chance. She is full of life/God. 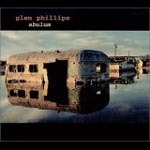 Another great effort from Glen...in terms of dynamics, it reminds me of "Windmills" or "Pray Your Gods"...softly played, almost delicate, but the lyrics melt into the songs pacing...also another attention grabbing chorus, when Glen speaks the words "I won't be ungrateful" over those magical chord changes, you can feel the nakedness of his soul, as you would with any great song. Powerful effort! Maya is a song that hasn't quite seeped its way into my liking. I think the album is so good but i feel that maya, especially the way it is recorded on the cd, was the weakest song on the album. but i am open to info that would sway me and my ears, but i don't think this song was very good.